Messiah and the prophets spoke the prophetic word within the context of the Hebrew culture. 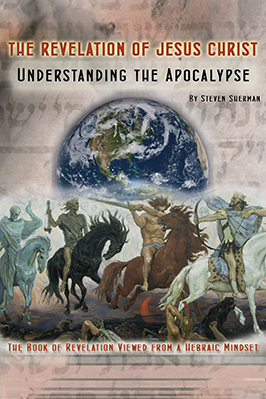 End Times Prophecy must be studied with a Hebraic-Mind Set. The Western church views Scripture from a Greek Mind-set and within the culture and context of a Hellenized society and pagan Roman solar calendar. They hold to a linear view of history and have compartmentalized thinking – segmenting ideas by defining them a placing them neatly into a box. Therefore, if the members of a denomination or even a local church disagree on certain doctrines both sides believe that they are exclusively right and they may split and form a new denomination or church. The p’shat or simple and plain understanding in this is that God created everything. Remez (‘hint’) — this is where a word, phrase, or some other element in the passage ‘hints’ as a truth not conveyed by the plain and simple p’shat level of understanding. Jesus quoted from Psalm 8:2: From the lips of children and infants you have ordained praise because of your enemies, to silence the foe and the avenger. Why has God ordained praise from their lips? – To silence his enemies. Jesus is hinting that the enemies of God are the chief priests and Torah teachers of his day. Drash or midrash (“search”) — this is a further step of interpretation that is more removed. It is method of allegorical or homiletic application by the individual where the text of the scripture can be used to validly reveal a truth that was not even related to the passage under examination. Paul in Galatians 4:21-31 uses drash in his allegory of Hagar and Sarah by using the historical account of Abraham’s wife and her maidservant as representing two covenants. Sod (“secret”) – means that the mystical or hidden meaning can be arrived at by investigating the correlation of Hebrew letters, numerical values, unusual spellings, transposing letters and reinterpreting words, etc. In other words, this level assumes that God hides the deepest meanings in the smallest letters or number values of the Hebrew words. The Hebrew view of life is cyclical. The seasons, the Torah cycle, the biblical cycle of Festivals roll on to the future but each cycle supports the one beneath. Sixty seconds complete the sweep of the minute hand. But if there are only 59 seconds, the next minute cannot begin. When a person rides a bicycle, every circular rotation of the tires moves the rider forward. Though time linear, it progresses forward through the cycles of seconds, minutes and hours. In order to better understand the prophetic passages of Scripture concerning the Return of Christ it is not only necessary to view them from a Hebraic mind-set but also have an understanding of the Moedim – The Appointed Times of God, which are the Festivals of Yahweh. The three pilgrimage festivals not only were times of thanksgiving for the LORD’s deliverance and provision but are prophetic pictures and symbolic of the triune nature of God and his relationship to his betrothed. The first pilgrimage festival is the Passover. Pesach not only looks back to the redemption of Israel from Egypt but both portrays the 2nd person of the Trinity, the Lamb of God, and is a prophetic picture of the future payment of the bridal price. The Feast of Weeks (Shavout) or Pentecost not only represents the Holy Spirit but is a prophetic picture of the promised bridal gift. I will put my dwelling place (literally – my tabernacle) among you, and I will not abhor you. I will walk among you and be your God, and you will be my people. The Feast of Tabernacles (Sukkot), not only speaks of God our Father but is a prophetic picture of the wedding feast of the betrothed bride of Christ. Jesus Christ fulfilled the spring cycle of biblical festivals in His First Advent by instituting the New Covenant at the Passover, being entombed during the Feast of Unleavened Bread, resurrecting on the Festival of Firstfruits and sending the promised Holy Spirit at Pentecost. To better understand what the Bible reveals concerning the Second Coming of Christ, we need to be familiar with the typologies of the wheat and grape harvests, the Feast of Trumpets, the Day of Atonement, and the Jubilee as well as the customs and practices associated with a Hebraic wedding ceremony. 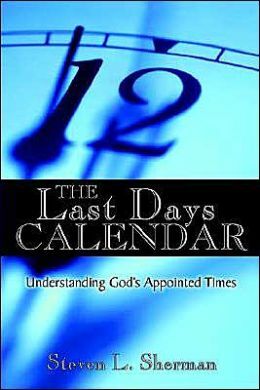 I believe that my book, THE LAST DAYS CALENDAR makes a clear connection between the “fall cycle” of biblical festivals and the return of Christ as well as sheds new light on Chanukah – the Feast of Dedication recorded in John 10.